Did the first soldering on the softrock last night. So far so good (i think) But trouble ahead. Now i have to solder a tiny tiny smd voltage regulator. Have never dealed with smd or such small components before. Have watched videos but still not sure how I will manage to do it. Pic of result last night. Its one of the power supplies. 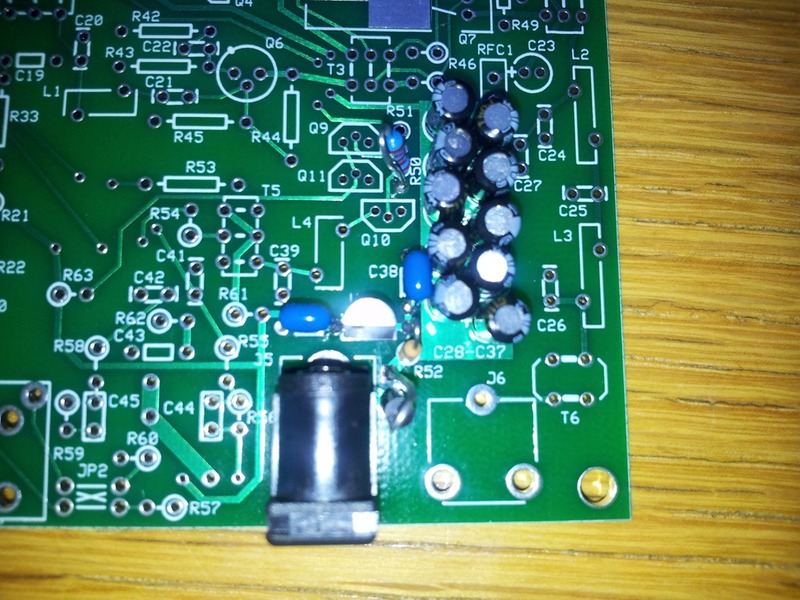 I have also started on the USB power supply but as said before, next component is the smd. Must gather some courage. This entry was posted in Ham radio, Images. Bookmark the permalink.